Enjoy numerous levels of charming and colorful fun in Charm King on PC! Capture and collect all colorful charms that come your way, and conquer several matching challenges. Earn the ultimate crown and become the Charm King! Keep the game updated to experience new challenges and themes. Update and play Charm King Game for free with seasonal events such as Winter Wonderlands and heartwarming holidays! Charm King is created with colorful and vivid graphics that keep players at awe with its equally charming and challenging levels! Play with friends and find out who is the rightful Charm King in the game. Read on to learn more tips and tricks for Charm King with a free gameplay guide here. Who knows, when you play the game you might reach Charm King unlimited lives? Download here to get the Charm King game for free on PC today! Playing Charm King is fun and easy! At the start of the game, you will have a short tutorial session with the King and he will guide you all throughout the game too. He will introduce the mechanics of the game, different types of boosters, and how you can finish each story in the game. The aim of the game is simple: you have to collect the required charms at a given level in order to pass the level and go forward. You only have to tap and swipe in order to switch charms and pair them in 3s. Each level will require a different type and number for each charm. Take note that you have to be quick and resourceful because your moves are very limited! Charm King allows you to explore the many places of the Kingdom as you progress along in the game. Best of all, you can discover unique tales from the Kingdom. But, you have to conquer more levels in order to unlock more chapters of each story. You can also help the character in the story with the prize that you will get after every level of gameplay. A Princess, for example, needs a scroll, pen, and ink to start writing her letter. But, you also need to collect those tools by winning more levels in story mode. There are new quests and more challenging gameplay when you join events on Charm King! Once you reach level 18, you will unlock the levels to join events. So, you really have to play on Story Mode and conquer the levels faster. You really have to reach the required level quick because the events expire after a few days or a few hours and you will not be able to join the fun anymore. One of Charm King problems is you only get 5 lives at first. Whenever you fail a level, like when you run out of moves before even collecting the required gems, this means that you will lose a life (heart). If you run out of lives, you will need to wait for a few hours to have them refilled before playing Charm King again. 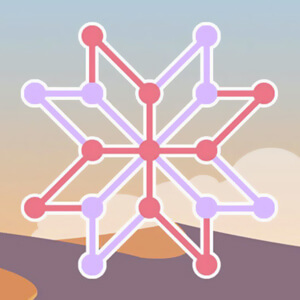 If you want to add more lives without waiting for several hours, you can do it by connecting the Charm King game app to your Facebook account. Your friends can save you whenever they agree to give you lives (or a heart). If you want to be on top of the Charm King game, you have to make sure that your levels are scored and rated high. Players can be given with 3 stars each level. To ensure that you get high scores and a perfect 3-star rating after every level, use your moves properly. Speed is also a factor. So, the best thing to do is to collect all the required charms quickly and use only the least moves possible (you should have many moves left by the end of the game). Puzzle Games are definitely a good idea to bond with your family. So, don’t forget to install Charm King Game free here at Games.lol. You can also download and play 1LINE and Weave the Line today!